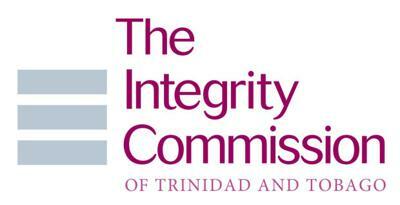 I intend to write to the Integrity Commission and Procurement Regulator Moonilal Lalchan this week with a request to investigate the procurement process used by the Ministry of National Security with respect to of the $100 million Closed-Circuit Television (CCTV) network. I will request that independent institutions undertake separate vigorous investigations and take appropriate action if there are any breaches of the relevant law. I also intend to raise the matter at the next meeting of the Joint Select Committee (JSC) on National Security at Parliament, with a request for an urgent and full enquiry. The courses of action are being undertaken because of the flippant dismissal by the Government of firm allegations of bid rigging in the costly purchase. I discussed the critical issue in detail in the House of Representatives last Friday, and revealed compelling and convincing facts that appear to show a London-based company receiving preferential treatment. A review of the factual matrix of the tendering process lead to the inescapable conclusion that there were gross irregularities. It is clear that the tendering procedure was irretrievably compromised, where one company did not submit proposals on time and an extension was granted to facilitate one bidder. This is a major breach of the public sector tendering process. The Government’s response to the important matter was a flippant dismissal by Minister of Health Terrence Deyalsingh, who is far removed from the procurement matter. The fact that Mr. Deyalsingh was detailed to respond to this $100 million matter – and the Minister’s dismissive reply – it is clear that the Government does not intend with this crucial issue of alleged wrongdoing with the public’s purse. As a result, I will write to the Integrity Commission and Procurement Regulator, with the confident expectations of an urgent and independent enquiry. I will also bring the matter to the attention of the JSC on National Security, which, I anticipate, will hold public hearings on the matter. The apparent breach of the procurement process and the Government’s frivolous response are typical of an administration which continues to play fast-and-loose with taxpayers’ money. The alleged wrongdoing with respect to $100 million must not be permitted to escape without independent scrutiny and, if necessary, appropriate legal action. Not Race Talk! Movement for a Just Society!